Popular YouTubers KSI and Joe Weller finally settled their differences this night when they touched gloves at the Copper Box Arena in London. 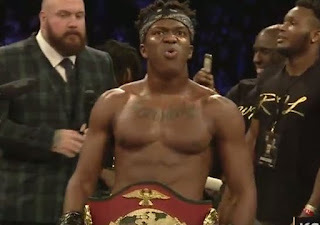 Moments Ago, KSI came out on top against Joe Weller at the Arena in London. In recent months the pair have exchanged YouTube diss tracks and tweets, not to mention when the pair clashed on stage at the Upload event in September last year amidst chants of 'fight, fight, fight'. This fight has already been tipped to hit 20 million views and hundreds of thousands streamed the bout on Youtube. FINAL RESULT: The referee called out the fight 1 minutes 30 seconds into the third round, declaring a KSI win by total knockout.